Today, electronic data collection finds application in various walks of life - be it in hospitals, industries, or offices. Since the advent of Open Data Kit (ODK) and Survey CTO,among other software platforms, electronic data collection has drastically changed the way surveys are administered. The greater familiarity of the general public with cell phones and tablets has aided the use of electronic devices when surveying human subjects. More importantly, surveyors also have a better understanding of the equipment, which makes the training a lot easier to manage. The biggest advantage, and also the most obvious, of electronic surveying is that it provides easy access to data after collection. It completely eliminates the various problems that arise during manual data entry, which is a necessity if the survey is paper based. Moreover, electronic survey forms offer various built-in options for quality checks (pictorial records, random audio checks, calculation of average time taken for a survey/ section of a survey), which can be used to flag off inconsistencies in the collected data very easily. Essentially, electronic data collection allows unparalleled flexibility in form design, which ultimately results in better quality data being collected. Given the aforementioned advantages, it becomes quite easy to get carried away with the electronic data collection idea. However, there are a few things that are worth keeping in mind while considering the use of electronic data collection. Most importantly,the equipment is not cheap - a basic Android phone costs around Rs.5, 000 ($85) and a tablet around Rs.10, 000 ($165). That said cost should not be the only factor when buying a device. The features of a device are very important. Thinking in advance about device storage capacity, GPS features, Wi-Fi connectivity and compatibility with existing devices would go a long way in setting up an efficient data collection framework. Considering the familiarity of the enumerators with the devices, and the amount of resources that could be spent on potential training are also great ways to narrow down options. Also, worth keeping in mind is the fact that while most devices have a long life, they still need to be replaced. Phones need to be replaced at least once in a 1.5 years and tablets once in 2.5 years, if they are to hold up to the constant levels of use they see in the field. Very often, enumerators have lost data because they were using old devices that crashed/ hung in the middle of a survey. Thus, malfunctioning of equipment is not uncommon; it is not an outlier and there is a constant need to replace equipment even on the field. Also, different makes of equipment tend to function in different ways. This heterogeneity needs to be considered when building forms. The best way to identify the most suitable device for a survey sequence remains through trial and error (and patience). Selecting the right software is another crucial aspect of electronic data collection. Identifying the best suited software platform for a survey, one in terms of ease of building of forms, access, and training personnel can go a long way in ensuring cost effectiveness. External support is important as well, in the case of emergencies. There are many software options available. For example, ODK is an open source and free software platform. Survey CTO is a pay and use software which is constantly innovating to meet requirements of various survey formats. 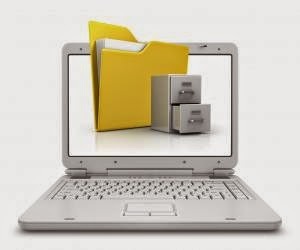 A vital aspect of electronic data collection is the survey form itself that is being used. Forms need to be rigorously checked at the beginning of any operation, as it helps to have a clearly envisaged data flow in place. While testing an electronic survey form can be a boring and arduous task, identification of form errors before surveying begins can save surveyors a lot of trouble that would otherwise pop up during the rollout, which is always unpleasant and counterproductive. . Thus, electronic data collection does make things easier, but it does not always result in a perfect survey or very good quality data.. Surprises (and not good ones) can always occur, even with electronic data collection. This highlights the importance of mock runs, picking the right equipment and software, familiarity with devices and software, contingency plans (extra devices on the field and good notes). Lastly, the notion that electronic surveying is meant to replace paper documentation and scrutiny is falsely dichotomous. Paper documentation of electronic survey forms, and rigorous post-collection scrutiny can go a really long way in maintaining high quality of data.